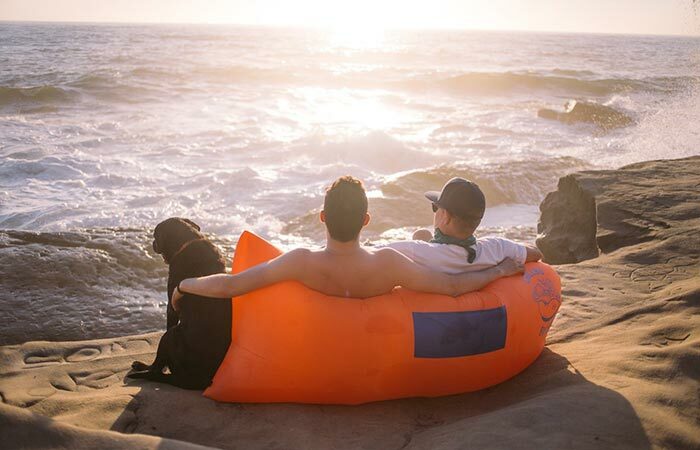 When it comes to chilling out, everybody should be familiar with the comfort that inflatable sofas have to offer. They are easy to use, even easier to transport and can be used in any terrain. The latest that hit the market, with a somewhat humorous name, is the Chillbo Baggins Inflatable Lounger. With the ability to be able to set up in less than 10 seconds and light enough to transport in a backpack, the Chillbo will have you chilling out in no time. The Chillbo Baggins is constructed out of Nylon Ripstop that has been shown to be extremely durable and can even be used on rocky surfaces. Much like other inflatable sofas on the market, the Chillbo sets up in 3 easy and simple steps. First you simply open up the end of the sofa and then you just drag it through the air two or three times, then you simply roll up the end and you are ready to chill out. The Chillbo Baggins is constructed out of Nylon Ripstop and this material is so durable that it can even be used on rocky surfaces. The Chillbo Baggins also makes a perfect pool accessory since it can float on the water with ease. 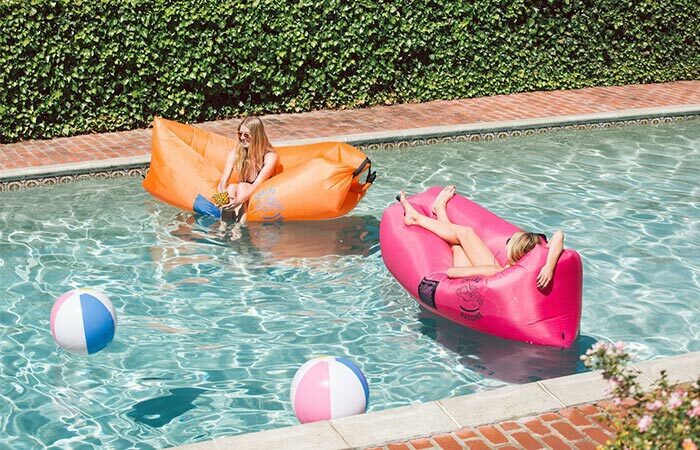 Another interesting feature of this inflatable sofa is that it has the ability to float on water and makes the perfect pool accessory so that you can chill out and get your tan on while floating leisurely. The Chillbo Baggins can is available in 3 different colors – orange, pink and camo – and is super easy to transport since it can fold up to 13” x 7” x 3.5” and only weighs 3 lbs but has a carrying capacity of 400 lbs. The Chillbo Baggins is manufactured by a US based company and offers refunds as well as shipping within 2 days. With the ability to chill with such ease, the Chillbo Baggins is the best way to get your summer tan on.